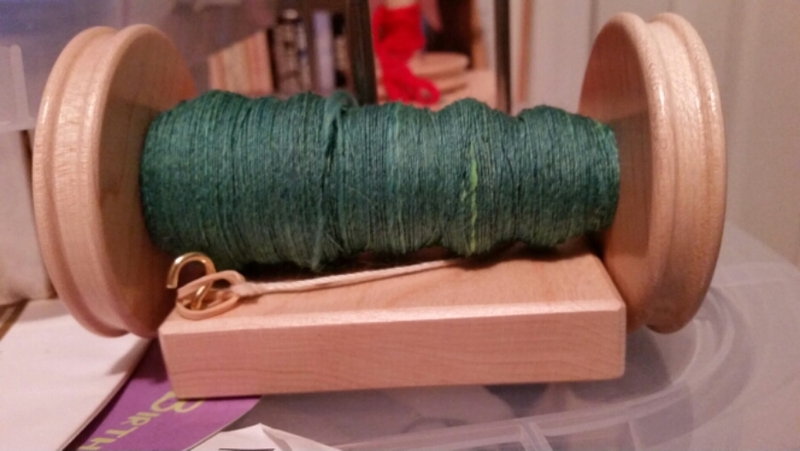 I’m spinning this merino Fusion at one ounce per bobbin, and I finished the first one Saturday. That meant a nice long session, which was great. Very relaxing. Sunday, not so much. The spinning was good, but not enough time to suit me. I spent most of the day in the kitchen cooking and getting ready for the week, and now I must go get ready to head over to the Little Yellow Music House. We have gotten some sad news – Mick’s mom is having serious heart problems and there really isn’t anything they can do. She’s in the hospital and it seems to be just a matter of time at this point. So my heart is heavy. I’ve been listening to melancholy music while spinning because that’s what works right now. Thinking about wheels and circles and spirals and the dance of life. This entry was posted in Art, Fiber and tagged Arts, creativity, Honesty, Life on life's terms, Spinning. Bookmark the permalink.